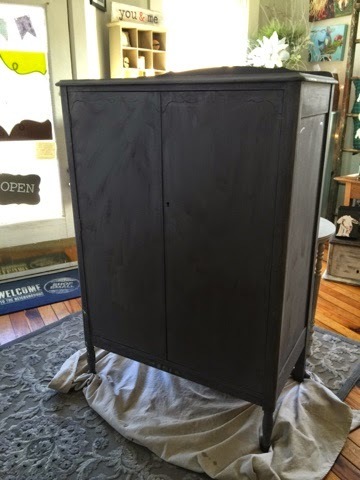 This beautiful antique wardrobe received a restyling. 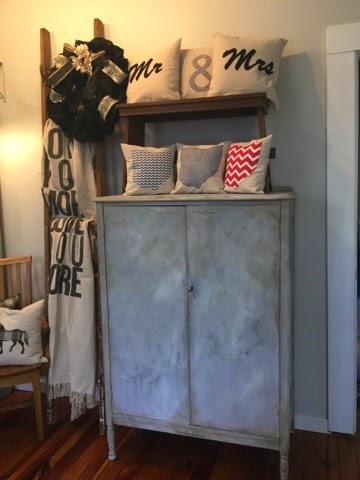 I love that it was done completely in the shoppe! 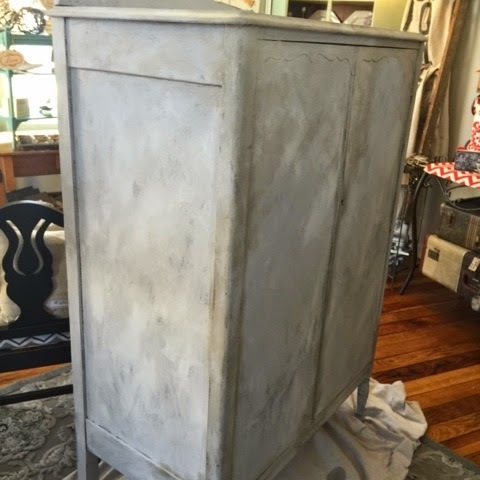 The first step was to paint it with Maison Blanche Confederate Grey. 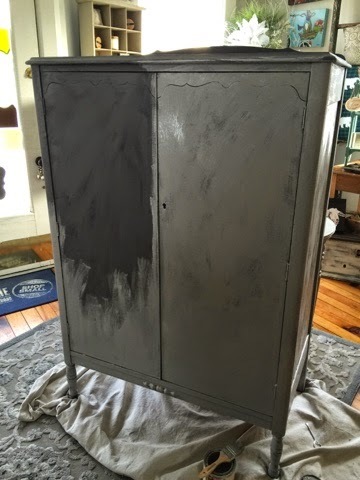 One coat. Then I applied La Chaux. This is a newer product from Maison Blanche. It's a thicker paint-like product that is applied with a brush over paint. I did a few unique things to this piece as well. It involves a plastic bag and a credit card. The result is a layered effect, with old world charm. Despite using one color of La Chaux, it gives the effect of several layers of paint, in different hues. It is one of my favorite products and creates the perfect, unique finish. Tomorrow I hope to share a video, that details the steps, the product and some of the techniques you can use to achieve this finish. This is my third piece completed in this manner and I will be adding a class in April. Please check our Facebook page throughout the day, as Mother Nature is not our friend lately. Our hours may change. Be safe & stay warm!